Take 12% off the total price of a CAE LucinaAR Bundle Unit - While Supplies Last! Save more than $10,000 when you purchase CAE LucinaAR through this special offer. This essential maternal-fetal training bundle includes the Microsoft HoloLens application and the CAE LucinaAR learning module – all in one cost-saving bundle. 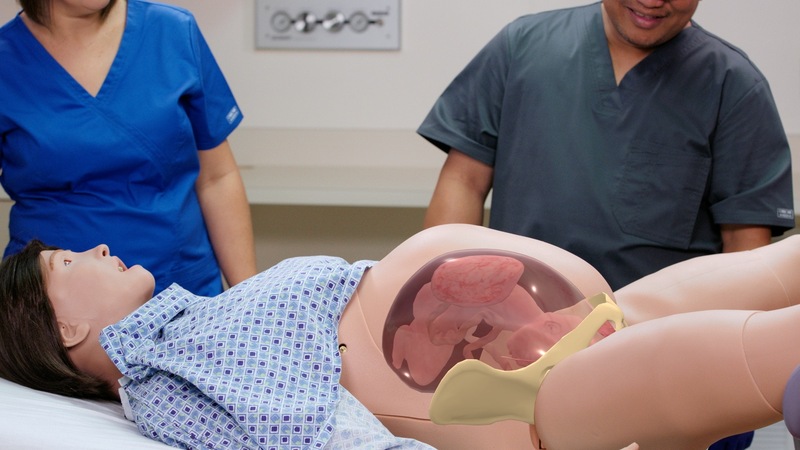 With the CAE LucinaAR bundle, you can save on the cost of training your labor and delivery teams in emergency care on a pregnant patient as they gain proficiency in managing normal-to-rare childbirth procedures within a risk-free, holographic environment. CAE LucinaAR capably integrates CAE physiology with validated curriculum to deliver unrivaled training in childbirth scenarios. The CAE Lucina childbirth simulator delivers exceptional fidelity for the practice of normal deliveries, emergency scenarios, and post-partum care. CAE Lucina allows clinicians to practice pre-partum assessment, labor and delivery, emergency care and transport all within one wireless patient simulator. With modeled and validated physiology that is integrated with the fetal physiology, Lucina responds automatically to obstetric maneuvers and clinical interventions. CAE LucinaAR is the first childbirth simulator to be integrated with the augmented reality technology of Microsoft HoloLens, allowing clinical learners to achieve a more immersive training experience. Users can interact with dynamic holograms of mother-baby physiology and obtain immediate visual feedback on the effectiveness of emergency maneuvers.